I hope you all had an enjoyable weekend. I had the pleasure of spending time on Saturday with a group of wonderful volunteers who were on hand for Lincoln Blooms. Luckily, the rain held off until all our new plants were in the ground, and our grounds look great. Thank you to all who participated. This week is the kick-off of the Understanding our Differences and Similarities program for our 4th graders. It begins with an assembly tomorrow and the first session is on Tuesday. Thank you in advance to all who’ve volunteered to help facilitate this powerful program. Also this week, our middle school students will take the math MCAS on Tuesday and Wednesday. Around Brookline, the 9th School Building Committee will meet this Tuesday May 16 from 8-10 a.m. in the fifth floor of Town Hall. Our next Community Conversation will be this Wednesday, May 17th, at 8am in the Library. Come hear updates on the new directory, vote in next year’s PTO board, and hear about the support that families have been able to give this year to Lincoln’s students and teachers. Next year’s PTO board will have Holly Reil, Wendy Ames and Julie Lacy as co-presidents. Kathryn McHugh as treasurer, and Stuart Marquis, Belinda Hsu, Sarah Weingart and Sara Scott as at-large board members. We are still looking for a secretary who takes and posts board meeting minutes online and helps with other electronic communication! Read-A-Thon Packets Due this week! It’s get your Reading Logs and Pledges turned in so totals can be calculated and winners announced! Packets may be returned to Ms. Jennings in the office or Ms. Abner in the Library. Winning classrooms, students, and achievements will be announced the week of May 21st. Is your adolescent ready for freshman year at BHS next fall? On Thursday May 18, BHS Peer Leaders and their advisors will host all 8th grade students in the year’s final BHS Crash Course: The Unofficial Guide to Brookline High. This is your teen’s last chance to connect with 8th graders from all over Brookline, and the evening’s Scavenger Hunt with “selfie challenge” will help kids learn their way around the building. And, of course, there’s PIZZA! Students meet 6:30 – 7:30 in the Brookline High School cafeteria. PLEASE NOTE DATE CHANGE – MAY 18. Lincoln’s “Diversity and Inclusion” kick-off discussion on 5/24 – we need you! Dr. Carlos Hoyt will facilitate our first Diversity and Inclusion kick-off meeting on 5/24 at 8am at the library and another session in the evening (place TBD). He will lead the discussions to help us be open to share our visions and introduce a family survey that will be launched. The results of all such will help shape what participations are needed by the school and parents to effectively make Lincoln a safe place for our children. We look forward to seeing you. Bake Sale and Rice Ball Sale before the concert. Tickets will be on sale at Lincoln school the mornings of May 22-26 as well as on the night of the concert. Donations accepted May 22-26. A series of major earthquakes struck Kumamoto, Japan in April, 2016. Many lives were lost in disaster. About 3,000 others were injured and 45,000 people still cannot return to their homes. Lincoln student Yulia was born there. 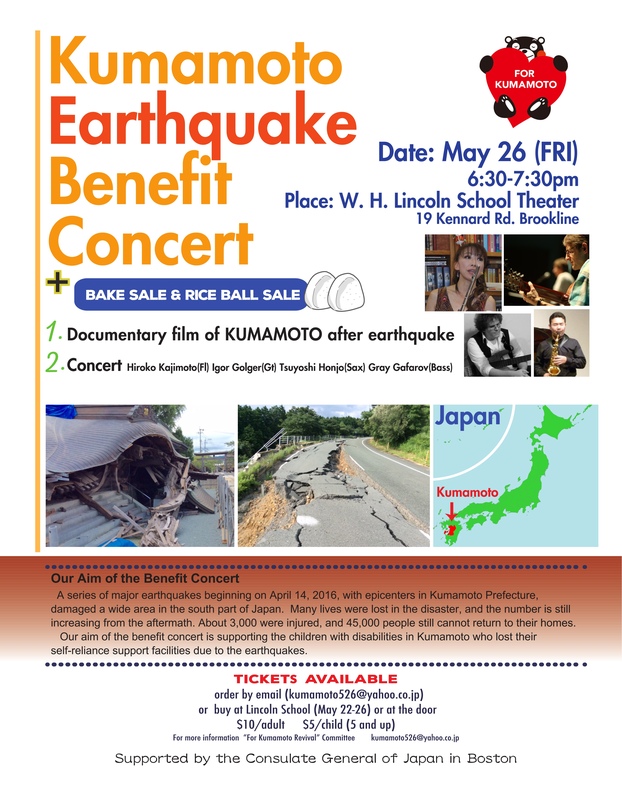 Her family and several Lincoln Japanese families are holding the benefit concert for Kumamoto Earthquake relief. All the money raised will help children with disabilities in Kumamoto who lost their self-reliance support facilities due to the earthquakes. We thank you in advance for your kind support. Email kumamoto526@yahoo.co.jp with any questions. This year’s Mayfair will have inflatables, a bungee jump, as well as your favorite games and arts and crafts — candy necklaces, spin art, cookie decorating and more. A lunch buffet features grilled food plus options from Anna’s Taqueria, Oath Craft Pizza, Upper Crust Pizzeria, Bon Me and Union Square Donuts; delicious desserts at two food trucks. Fun for the whole family like a touch-a-truck courtesy of the Brookline DPW, a student band and Heath’s own Mr. Smith DJ’ing the cakewalk. Great experiences and items up for grabs at the raffle, Over 30 activities, An entire day of family fun! Cost – Admission is free, but each activity requires tickets which can be purchased on arrival. Brookline Library’s Brookline Village branch will be hosting a Tween Author Fest, featuring 5 local authors, on Saturday, May 20th from 2:00-4:00pm. Get to know Erin Dionne, Jen Malone, Lee Gjertsen Malone, Luke Reynolds, and Anna Staniszewski, then join us for crafts, snacks, and an author panel! Do you have a child that loves to sing? Join VOICES Boston children’s chorus for our 2017-2018 season! With singing at its core and training in dance and drama, VOICES Boston changes the lives of children, building confidence, discipline, leadership and a love of music that will last a lifetime. We have ensembles for singers grades K-8 and rehearse at the William H Lincoln School in Brookline, MA. VOICES singers perform a wide range of repertoire, from classical to world music, gospel to new music and present an opera every year. Throughout its history, VOICES Boston has collaborated with internationally known ensembles including the Boston Symphony Orchestra, Boston Lyric Opera, Boston University Opera Institute, Boston Baroque, Boston Youth Symphony Orchestras and Boston Early Music Festival. Please join us for Celebrating Teachers is on May 16 at Newbury College at 3:30 p.m. Celebrating Teachers is a wonderful reception at which the BEF announces the year’s teacher, collaborative, and systemwide grant recipients. We will also honor the winners of this year’s Caverly Awards, for excellence in teaching: Dominique Ferdinand (Lawrence Kindergarten) and Betty Strong (BHS Math). On behalf of the Margaret Metzger Fellowship Committee, we are very pleased to announce the 2017 Metzger Fellows: Liz Exton (Lawrence), Dominique Gonyer (BHS), Jenna Laib (Driscoll), Amy Morrissey (BHS), Jeremy Ward (Lawrence), and Lisa Ziegler-Chamblee (Baker). Please watch for the kick-off of the BEF Honor-A-Teacher Campaign, a meaningful and much appreciated way to honor teachers at the end of the academic year while supporting the ongoing work of the BEF. The School Committee will be meeting on Thursday, May 18, 2017 at 6:00 PM in the Walsh School Committee Room, 5th Floor, Town Hall. Lincoln Rolls! Brookline Bikes Beacon Bicycle Parade is Sunday, May 21, 2017! Meet at Amory Park for this 10 th annual community event. Choose from two routes: Beacon Street Loop for ages 8 – 88+ who have reliable bikes and the ability and energy to tackle the long hill through Coolidge Corner at a steady pace. 5 miles. Cottage Farm Loop for younger cyclists (accompanied by an adult) and novices. NO TRAINING WHEELS, please. 1.5 – 3 miles. Community Gathering in the Park starts at 11:30 am with bike shop safety checks, bike-safety giveaways, DJ music, food to buy, community displays, a “Copenhagen Wheel” tryout opportunity, and a Hubway membership raffle! Parade starts promptly at 1:00 pm. Followed by a popsicle party! Google “Brookline Bike Parade” for more information and to register. Got a bike? Ride it! Got a Lincoln shirt? Wear it! 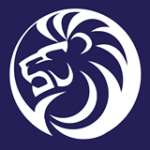 Got Lincoln pride? Show it! It’s fun! It’s free! It’s family-friendly! It’s five miles! It’s five hundred bikes! Fun for all ages! Come join us on Wednesday, May 24th from 4-8pm as the Driscoll School grounds are transformed into the beloved annual Spring Fair. Enjoy Amusement Rides, Petting Zoo, Touch a Truck, Face Painting, Henna, Food and MUCH more. May is Asian American Pacific Islander Heritage Month! What: Join us as we honor and award the Brookline High School Student Essay Winners for their essays on “What does it mean to be Asian American in Brookline?” We will also see an excerpt of the acclaimed new PBS documentary, “The Chinese Exclusion Act,” with a discussion from Andrew Leong, Associate Professor in the Philosophy Department, and Asian American and Latino Studies at UMass Boston. Co-sponsored by the Brookline Asian American Family Network (BAAFN), Brookline Office of Diversity, Inclusion, and Community Relations, the Jennifer A. Lynch Committee Against Domestic Violence, & the Chinese Historical Society of New England. Tee Off at the Library is back! Brookline Library’s Brookline Village branch will be transformed into a mini-golf course on Saturday, June 17th! Families and community members of all ages are invited to an afternoon of mini-golf, snacks, refreshments, and a visit to the Star Wars Museum. Doors open at 12:00pm, and the last tee off is at 4:00pm. A family from Lincoln school is searching for an apartment to rent/ sublet between August – December 2017. Dates and price are flexible. Your help is much appreciated! Please contact adibaco@gmail.com Thank you! For kids who get out of school earlier in June we just added an early summer week! June 19th- 23rd Milo will be in the studio fresh from his City Year experience at the Curley School in JP. We’re planning all sorts of fun art projects. If you are out of school we hope you’ll join us! This is sign on by the day or the week. As always we have a super full summer planned including canvas painting, clay, building junk sculptures, creating tie dye, sewing and making lemonade :D.
Also, our visiting artist afternoon workshops are back this summer! From 2:30 – 5:30 each day, these afternoons can be added as an extended day to the 9-2 schedule or as a stand alone. Terrariums, printmaking, zine making, sewing projects and lots more! The full list is now up on the calendar on artwithamy.com. All weeks except for our weaving week is sign on by the day or week. For details please feel free to email.